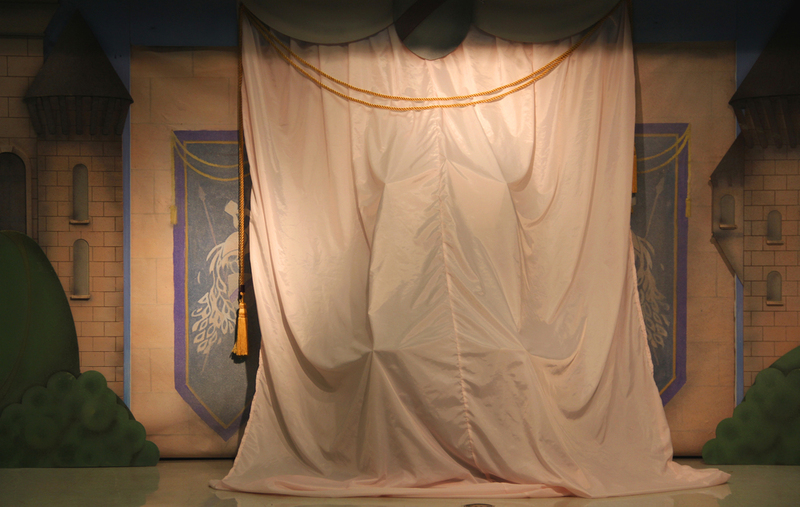 THE THREE FEATHERS (abridged) is a 45-minute outreach show for elementary school audiences. Working directly with Lori Laitman, Florida State Opera Outreach Program premiered this piece, based on the Grimm fairy tale and cut down from a 90-minute version premiered by Ms. Laitman one year earlier. The story tells of the shy and good Princess Dora who inhabits a kingdom with her two selfish sisters and her loving father the king. Trying to find a successor, the king gives each daughter a feather that will guide her in completing three challenges to win the right to rule. Wanting to prove her worth to her father more than anything, Dora is taken on an adventure through the magical underworld where she runs into all sorts of creatures, rats, and frogs to not only win the crown, but also find true love, and learn to trust the strength within her.